Shall we call this the series on Mexican dishes? Not super authentic, but dishes with a Mexi-flair. Earlier in the week , it was Mexican Breakfast Tortillas. In the next few days, I’ll post a simple Green Chili Enchilada recipe for a crowd and a Mexican Salad. 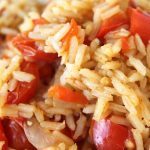 This rice dish – Tomato and Red Pepper Mexi- Rice- can be thrown together in about 5 minutes, and cooks up in about 20. Super simple and fresh. Really, it kicks Rice-a Roni’s backside every time. Use a 4 quart saucepan with a lid for cooking. Saute the chopped onion in oil over medium high heat (uncovered) until onion is soft, about 3-4 minutes. Add garlic, cook for about 2 additional minutes. Add rest of ingredients to saucepan. Bring to boil, cover pan with lid and reduce heat to medium. Cook for about 20 minutes or until rice is done. Check the rice at about 12 minutes to see if more liquid is needed. Salt and pepper to taste. -If you don't have fresh tomatoes, you may use drained chopped tomatoes from a can.-This cooks up quickly, make sure to keep the heat at medium, and the pan covered as much as possible.- For cooking ahead-If you try to keep the rice warm too long after cooking, the grains will swell and the rice will become overcooked. 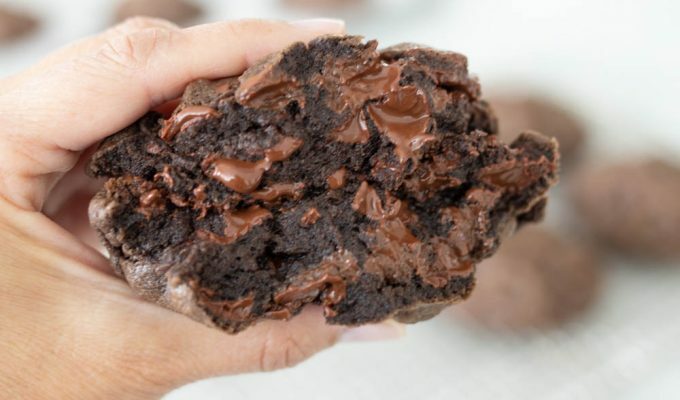 Better to let it cool, then heat it up later when needed, or cook just before serving. I love a dish like this, looks tasty.